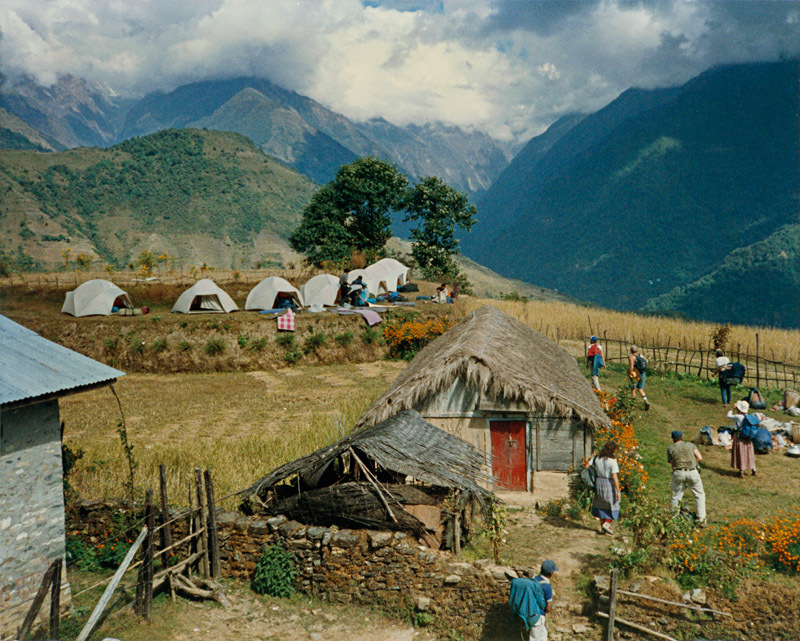 We hiked with the sherpas, who toted our gear and set up camp for us. There were 9 of us in this first trek (250 miles) and many of us tried to learn their language. Along the way, I learned about 200 words and phrases, though I never knew which were Nepali and which were Sherpa, and never learned to read Tibetan or Devanagari. Thanks to Yuyutsu Sharma for assisting during the editing of this book.